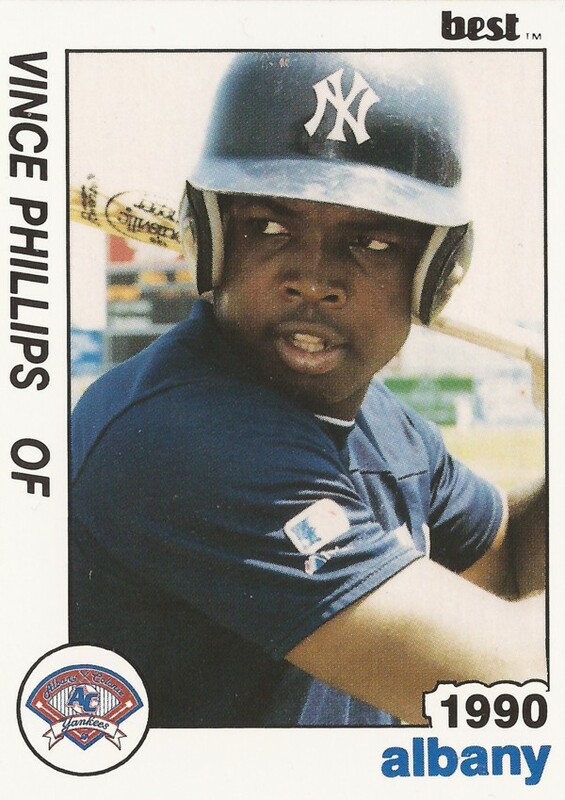 Coming out of high school, Vince Phillips had the choice of going to play four years of football at USC on scholarship or go play baseball for the Yankees. He decided to play for the Yankees, choosing the $100,000 signing bonus over the scholarship. "We feel like Vinnie made a good choice, because he's going to get good instruction and a lot of chances to improve," Fort Lauderdale Yankees Manager Buck Showalter told The South Florida Sun-Sentinel in May 1988. "The first year, Vinnie just needs to play a lot." In the end though, Phillips played the same amount of time for the Yankees as he would have for USC, and he never made the Bronx. Phillips' baseball career began in 1987, taken by the Yankees in the 13th round of the draft out of John Muir High School in California. At John Muir High, Phillips played both football and baseball. As a quarterback, Phillips threw for nearly 2,000 yards his senior season. As a hitter, Phillips hit .511, according to The Los Angeles Times. He signed with the Yankees after having already signed to play both sports at USC. "I figured," Phillips told The Times of his choice, "if I went to SC and played football and baseball and didn't get hurt I'd still have to eventually pick one and that it would be baseball. Then, I figured if that's what I'm going to do, I might as well play baseball and start while I'm young rather then wasting those years at SC." Phillips played his first season in 1988, at single-A Fort Lauderdale. He hit .267 with one home run. For 1989, Phillips moved to single-A Prince William, hitting .265 with six home runs. At Prince William, Phillips helped the Cannons win the second-half title, knocking in the winning run in the 11th inning of the late-August clincher. Phillips made the move to AA Albany-Colonie for 1990, hitting .241 on the season. He also hit two home runs. In one early April game, Phillips had four RBIs. "I took some early hitting today and it paid off," Phillips told The Schenectady Daily Gazette after that April game. "I felt good at the plate tonight." Phillips returned for just one more season, his fourth overall, spending it back at Albany-Colonie. In July, Phillips had three hits and three RBIs in one game. On the year, Phillips hit .274 with eight home runs. He didn't return for 1992.